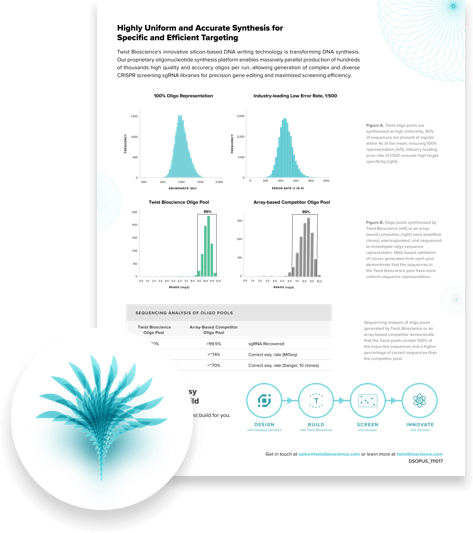 Get industry-leading low synthesis error rate and uniform sequence representation with Twist Bioscience custom oligo pools. Learn about high-quality CRISPR libraries that enable the most efficient screens. "The quality of Twist's oligo pools and the rapid turnaround time of the oligo synthesis helped us accelerate our understanding of the pseudouridine landscape on mammalian RNA."